Patio furniture made from plastic or resin is both durable and budget-friendly. It's lightweight, easy to clean and comes in a variety of colors, styles and sizes – and best of all, it's one of the least expensive options. If you want patio furniture that can withstand the heat and sun, going with steel or wrought iron may be your best option. Just make sure you apply ample amounts of rust protection to protect against the elements. This is furniture that is built to last and will not need to be replaced for many years. Aluminum patio furniture is the perfect option for those who want something requiring minimal maintenance. It's lightweight, yet sturdy; it doesn't fade in the sun or rust in the rain, and you can choose from a variety of options to match your exterior décor. The hot Vegas sun can damage and fade patio furniture. That's why it’s important to equip your outdoor patio space with an exterior shade or retractable awning. These allow you to block the sun from your patio with the push of a button, protecting your new patio furniture. For something stylish, you can't go wrong with wood. Choose from teak, natural cedar, wicker or something more exotic like Australian jarrah. Wood tends to cost more and requires consistent maintenance, but it is the most versatile and allows you to find a style that fits your personality, preferences and patio space perfectly. 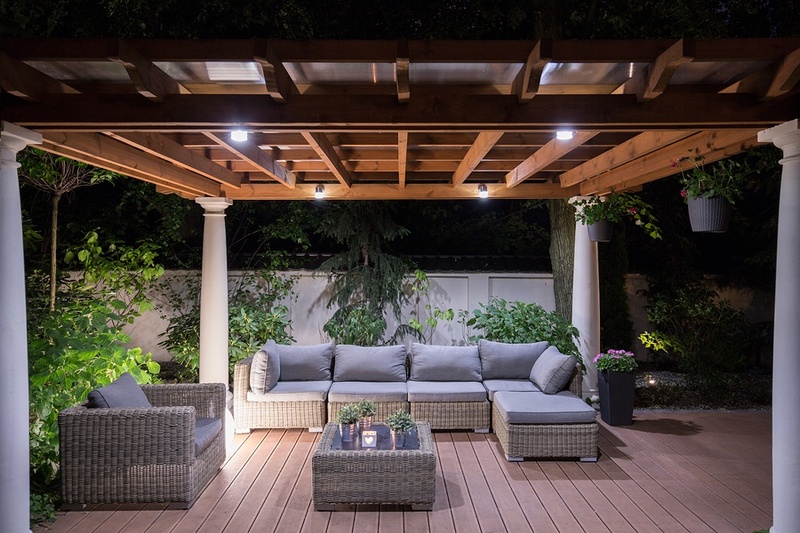 For more tips on how to create the perfect outdoor space, read the blog posts below. To schedule a free, in-home consultation for exterior shades and retractable awnings, contact us at 702-260-6110 today!